Barcelona are arguably one of the greatest clubs in world football and they are undisputedly a place where the top talents would dream about signing for. Sometimes, like any other club, Barcelona have been guilty of selling players when they shouldn't have and ended up losing on a big talent who blossoms elsewhere. Players like Samuel Eto'o, Pepe Reina, Thiago Alcantara and many others were sold while they had much more to offer and they had to end up spending a lot of money in order to replace these quality players. With that said, let us take a look at the players who Barcelona would have regretted selling over the period of their illustrious history. Alexis Sanchez moved to Barcelona from Udinese in the summer of 2011 and he played a very important role for the Barcelona legacy under Pep Guardiola. 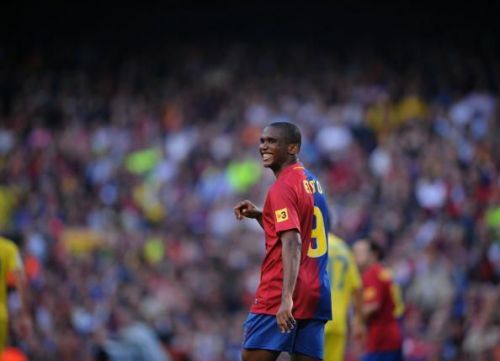 He made a total of 141 appearances for the Blaugrana, scoring 47 and assisting in 35 goals in the process. His final season at the Catalan outfit was his most productive where he scored 19 and assisted in 12 in the league alone to help Barcelona win the league yet again. He left the club aged 26 to Arsenal over lack of playing time at Barcelona and he went on to become one of the most important players in the Arsenal squad, when he dragged the squad in the 2016/17 campaign, scoring 30 goals and assisting in 18 in 50 appearances for the club. Although his time at Manchester United has been a disappointment, Barcelona surely must regret the sale of the Chilean international who would've been able to step up with Suarez aging and losing his form and shape.